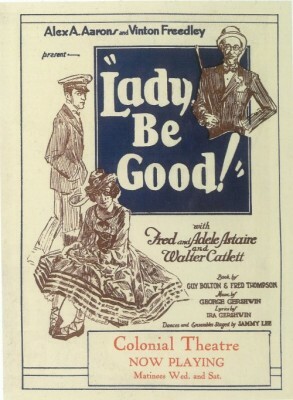 Lady Be Good! opened on Broadway in 1924 and featured Fred Astaire and his sister Adele Astaire. The song “Oh, Lady Be Good” is a standard and has had many fine recordings, including those by Ella Fitzgerald, Cliff “Ukulele Ike” Edwards, Artie Shaw and Fred Astaire. “Oh, Lady Be Good” was recorded on September 11, 1972 and released that year on the album The Good Things In Life. It was arranged by Robert Farnon.